We are in Synchronicity at MyBloglog, yet seldom do we communicate, or interact. Yet the closeness is here. A moment ago he ranks top at Technorati. This goes out to all you MBL folks who have not just become mere “blog buddies” but very personal friends within time. You’ve shown me the true value of friendship and support, even though we are all miles apart and most definitely will never meet in our entire lifetime. 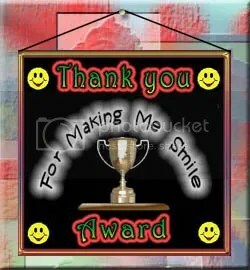 Yup this award goes out to you Bobby, Marzie, Jesse, Jean, Janice, Christy, Emila, Zublin, Barrett and in cinq (dear Lord, I hope I didn’t miss out anybody). I accept! Thanks a Million. Well, illusionaire, you really translate an illusion into reality after all. This award is one fine example. Zubli Zainordin in Total Happiness organize the Book Project Blog, offering a new leadership at Technorati. abhatnagar19 (Aayush Bhatnagar), AdTracker (Ad Tracker), azmeen (Azmeen Afandi), BlackWyrm (Jon), bobbarama (Bobarama), bromoluz (Cristian ), chepay118 (Cheryl Estorgio), CrisZimermann (Cris Zimermann), conancat (Chun Ooi Ang), danielctw (Denial Chew), deltaphi (david may), edasuner (Eda Suner), ejcooksey (Elisabeth Cooksey), Fastfastlane (Deborah Petersen), forumer (Ahmad Nizam Awang), IdentikitDK (riccardo terranova), illusionaire (Sandman), incinq (Adria), JaniceNW (JaniceNW), JesseTheCat (Trixie Wolf), Kassper (Dario Kasumovic), laketrees (Kim Barker), Lobodomar (André Soares), Marzie (Mariuca), Mattsofi (Ahmad Sofi Md Hashim), mightymorgan (morgan macgregor), MiikaMiika (Miika Mika), NdpThePoetress (Jeane Michelle Culp), NIHAL (NIHAL), nuovibusiness (Francesco Sortino), oiloffmar (oiloffmar), polliwog (polliwog), RandomMagus (Amber Azam), RBLChloe (Barrett Laurie), Revellian (Bobby Revell), rvnx11 (denny tyler), Samanathon (Saman Sadeghi), SantaBlog (Santa Claus), Seiche (Seiche), sftopics (sandra fabria), sohoquest (Michael Beck), tessasandiego (Tessa Cruz San Diego), thebaptist (Simon Rodrigues), thedude25 (bryan clark), thor78 (Ron Del Rosario), unomateo (matt dunlap), WondahWoman (Wonder Woman), Yasmin35 (Yasmin35). ACAssociates (andrea carangelo), anitokid (AnitoKid), BrownBaron (Ariel Garcia), CareerStrategist (Ev Nucci), chelloveck (Péter Kollárik), ChristyCoffee (Christy Z), homelessfamily (John C.), LFXT (lili fxt), PeopleInTheSun (OX M), pnr026 (Parinya Na Ranong), rapieress (Catherine Hughes), santaram (santaram koyilada), Shinade (Shinade), tessasandiego (Tessa Cruz San Diego), thoughttrain (Jason Caluori), tidy (tiziano mainieri), unomateo (matt dunlap). AAACopywriter (Alex Badalic), adnil (Lynda Winsor), ajinumis (Nessa), Alkye (Eleonora), alltheline (donno alltheline), amonhanor (amon hanor), autobot (cadillac man), awannabewriter (awanna bewriter), Awiwik (aww ciel), bblweb (Ann Liu), catpawdreamvibes97 (NAFA SG), cfaslave (Brent Evans), chuva (Chuva Chienes), citracitra (andy ), cotojo (Colin Richards), Crazyharp81602 (Sherry Konkus), digitalfilipino (Janette Toral), disassociated (John Lampard), dlwjr (Donald White Jr), eastcoastlife (eastcoast life), ebestagent (ebestagent), EddieJohn66 (Eddie John), eklesene (eklesene), emilayusof (emila yusof), EndohT (Endoh Taiki), erez (Carlos Lorenzo), esofthub (esofthub), flanture (Pred Rag), franscud (Francis Scudellari), freesecrets (Alex), gevil (Gabriel Villa), goggi1 (Remo Goggi), hmmlo (hmm lo), iblogster (Jonathan Glazier), ikechua (Isaiah Chua), jeanchia (Jean Chia), joezul (Joe Zul), Johnshir1 (Johnny Ong), keeyit (Yoong Kee Yit), kathleenmaher (Kathleen Maher), keretakawe (Wan Nazaruddin Wan Mahmood), kikiat (kikiat lei), kuanyin333 (kuanyin333), lakmar (Lakshmi Mareddy), lozster (Laurie Joyce), miccom (Michael Niedermayr), michele84 (Michele), mkossatz (Max Kossatz), MommysGetaway (Tamara Pruessner), munaeem (Mohammad Jamal), nickphil67 (Nick Phillips), nishanthe (Nishanthe Hewawitharana), PamilVisions (Mihaela Lica), pdm1 (Ant B), QuartzMountain (Kevin Henney), sbarber (Scott Barber), sdkruiser (sdkruiser), sexyinred (Norlina Mohd Mushahar), shaunlow (Shaun Low), sidewinder (Michael de`Oz), softboxes (Janice Ng), speedcathollydale (Eric Folstad), standalone (Lhutfhy Pribadi), SugarQueensDream (SugarQueensDream), The Legend Islands, TerriTerri (Terri), thereyoucome (sh thereyoucome), thewesko (Veysel Alışık), tsupacat (Terrell Hanna), VByers (Vanessa Byers), VicGrace (Vic Grace), volkanalabaz (volkan alabaz), WanNo (Wan Norizan Abdul Hamid), WaterLearner (Karen Chiew), webaction (Web Action), weeseekim (See Kim Wee), wolkanca (VoLKaN YILMAZ), ZeNeece (ZeNeece), zodiactorzan (Mohamed Arif). AdSense Tracker, Aini, Aina & My Twin, A Week In The Life of A Redhead, Blogging Den, Bobbarama, Bobbarama Humor Carnival, Bobbarama StumbleUpon, Book Project, Business Opportunities Weblog Brasil, Car Crazy, Carnival of Goodness, Cell Tech Hub, Christmas Wish List, DiSjoiNteD INtelLigenCE, E-PicWorld, E-VideoWorld, Eda Suner, Everyday Should Be Christmas, Feedget, Feel Happy, FuelMyBlog, Heavenly Inclinations, Homeless Family’s Blog, Homeless In Jax, Homeschooling in the Ozarks, incinq, Illusionaire, It’s A Woman’s World, Kelas-Blog, Legend Islands, Life in the Fast Lane, Lynda’s Loft, Make Money With FOREX Trading, Make Money Online The Quick and Easy Way!, Make Money With Kassper, Mariuca, Mariuca’s Perfume Gallery, Mishmash Mirage, Mi(sual), Nihal’s Anything and Everything, Nuovibusiness, Polliwog’s Pond, Polliwog’s StumbleUpon, Read4Truth, Remarkable Bloggers, Revellian, Samanathon, Santa’s Community, Santa Elf’s Club, Santa Mail, Santa Wish Tree, Software and Web Development, The Anitokid Chronikos, The Joke Blog, The Other Side Of It, The Painted Veil, Total Happiness, Virtual Entrepreneur, Writing For…, Woman: God’s Masterpiece, Zubli Zainordin. Zubli Zainordin at MyBlogLog in Total Happiness organizes the Book Project Blog.